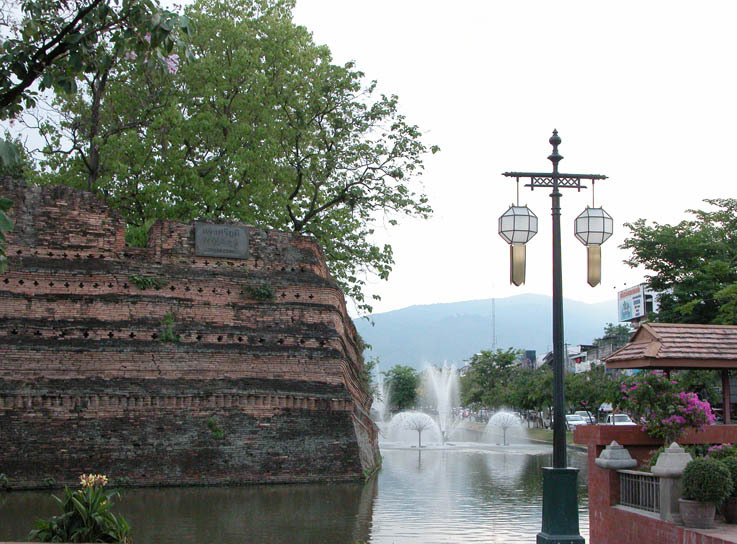 Beautiful Chiang Mai – Outside the wall. Once again, enjoying lolling around on our verandah, we were discussing snakes and lizards as per usual. Chow told me a story about his cat at his home in the country, who was stalking and catching a bird. Meanwhile, a large snake that he had – a python, I believe – was creeping up behind the cat. The cat caught the bird, the snake caught the cat, the cat turned around to see what on earth was going on and let the bird go, while the snake was having a few problems trying to get this wriggly, furry bit of prey to fit down its throat. So while the snake and cat were tussling, three people were on the other end of the snake trying to pull it off the cat. They finally succeeded and the snake and cat both left looking completely puzzled at their foiled hunting attempts. I’d love to have been there to get a photo of that. Snake, cat and bird, all in a row. Yesterday we stayed in our room most the time, as the HEAT is back. At around 4ish in the avo we hired a tuk-tuk and got the driver to take us right around the outside of Chiang Mai wall. We were total, unabashed tourists, stopping him here and there so we could take photos of things. 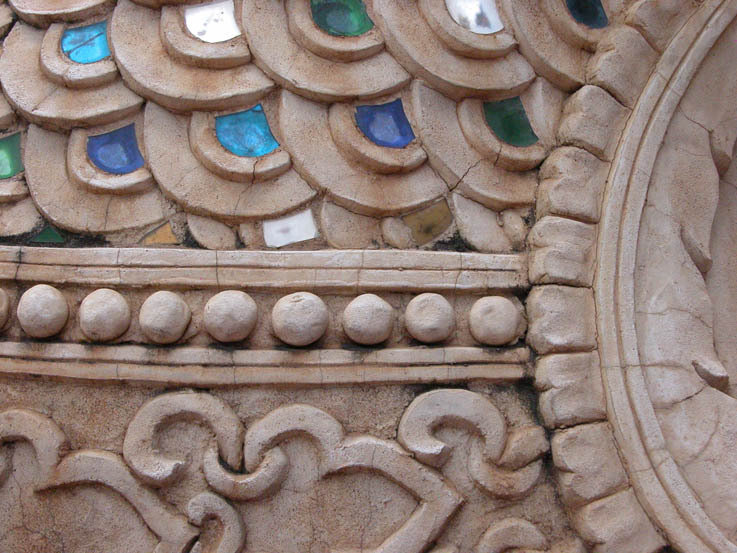 He also took us to a Wat that was incredibly ornate – probably took about fifty photos there. Gill’s getting pretty soft on Mama cat and buying her fish, etc, at the market down the road. Mama cat of course thinks that this is pretty alright and is slowly moving her kittens closer to us so she can eat and watch them at the same time. The kittens look to be about six weeks old now and the three of them can make a fish disappear in less than 15 minutes. Artist guy is still making dunnos. I wonder what they are for? I gave Chow an English lesson this morning. Considering he’s learned everything he knows so far out of a book, he’s doing darned well. A couple of French people turned up while we were at it and I made the mistake of greeting them a la Francais. They gabbled on for quite a while before I could say (in French) that I don’t speak French (well, very little anyway). It was nice to listen to though. They didn’t have much English and it took us all a while to sort out that the guy – who wanted to fly from here to India – had been booked onto Royal Nepal airlines by Chow. Chow gets his R’s and L’s around the wrong way, so it came out sounding pretty something like Loyor Enpar. I can’t read Thai so I couldn’t tell anything by what he had written down, but we managed to untangle things after ten minutes or so. I hope the guy gets on the right plane. Tonight is our last night in Chiang Mai. 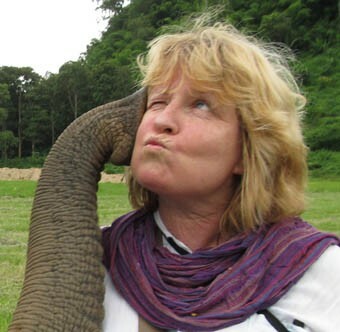 Tomorrow we take the overnight train again to Bangkok, then spend three nights there before coming home to NZ. Cross fingers for us that nobody does any protesting in the next few days. 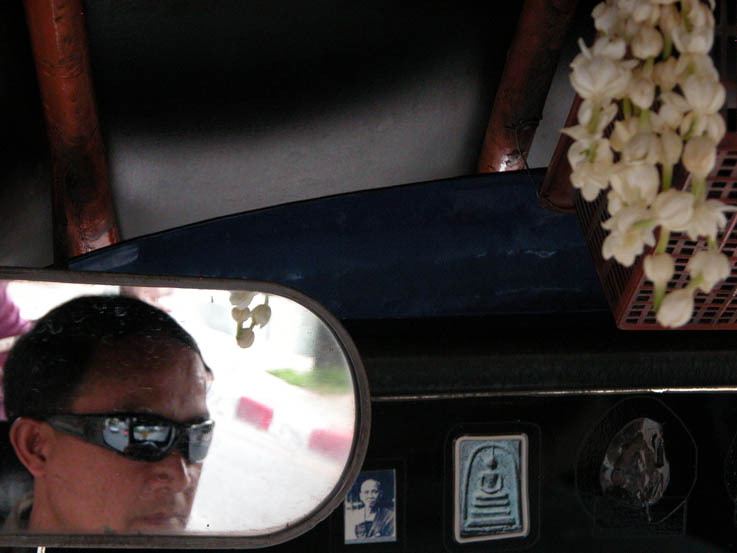 Our very cool tuktuk driver on our last tuktuk ride around Chiang Mai. 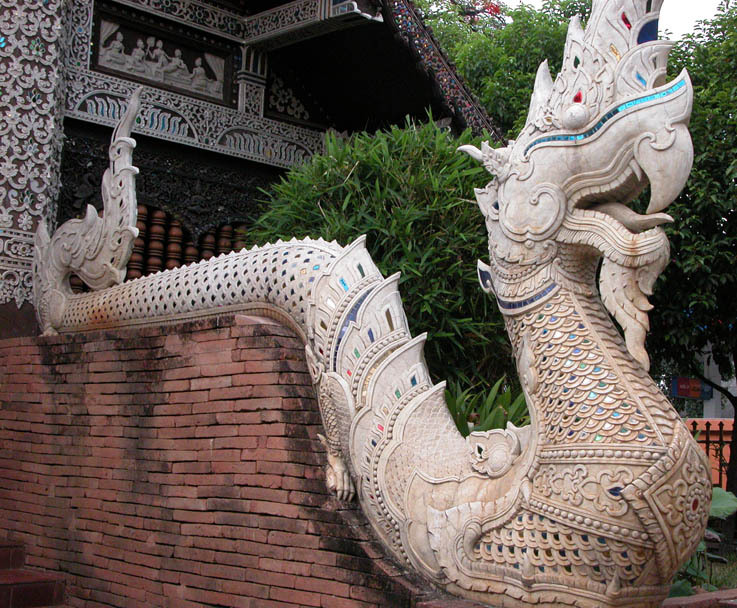 This entry was posted in Ravings - random wafflings, Ravings on Thailand and tagged cat, Chiang Mai, snake, Thailand, tuk tuk. Bookmark the permalink.